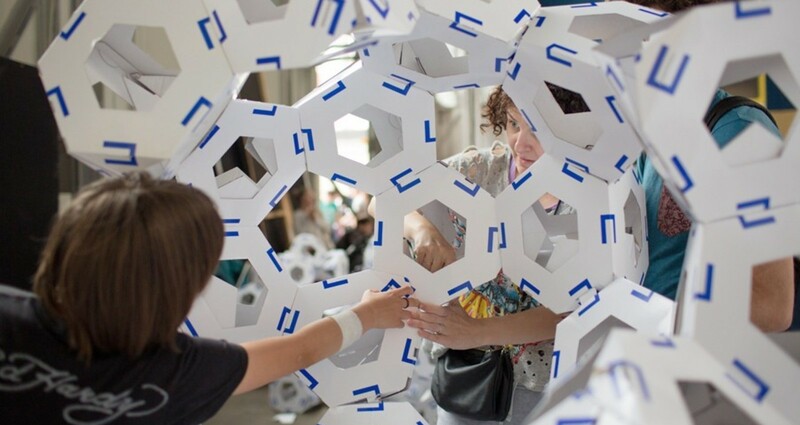 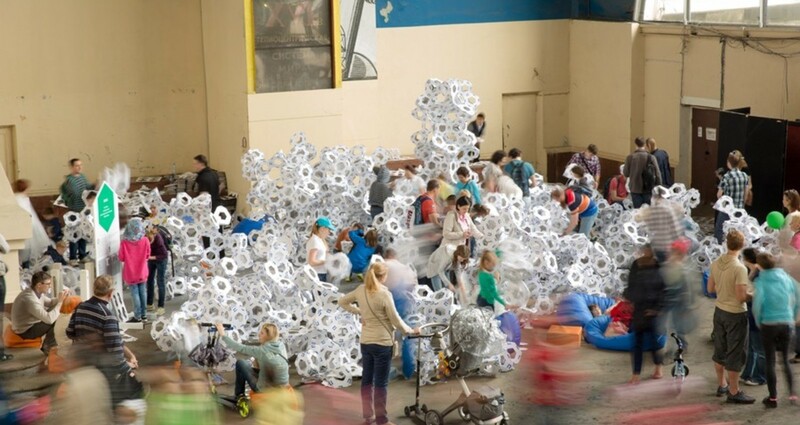 For "Polytech" Festival 2015 Collective Paper Aesthetics were designing a set of interlocking cardboard rings translating the polytechnic museum logo into a participatory construction activity. 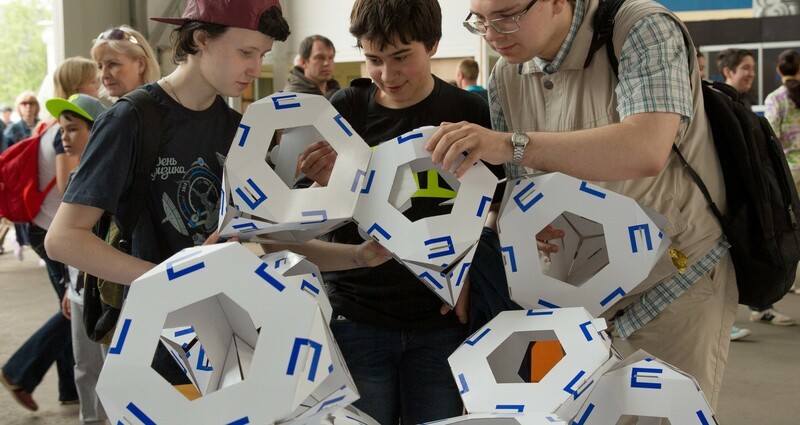 During two days festival in VDNKh more than 35,000 visitors were building three dimensional structures multiplying the Polytechnic Museum visual identity into exclusive landscape. 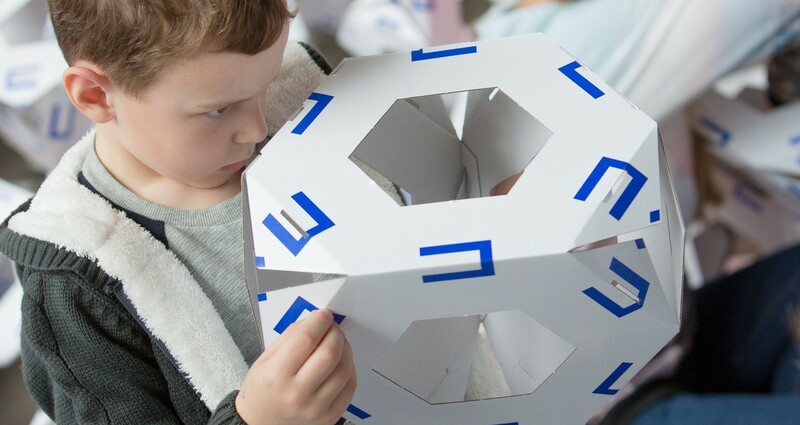 With specially designed cardboard joint every carton can connect to similar cartons using hands and imagination only. 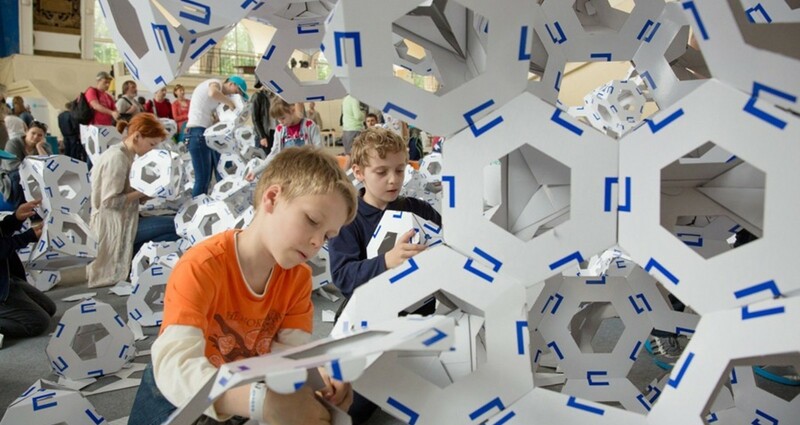 Support by Royal Netherlands Embassy in Moscow 1,000 cardboard envelopes and 7,000 joints were delivered to the "Polytech" Festival. 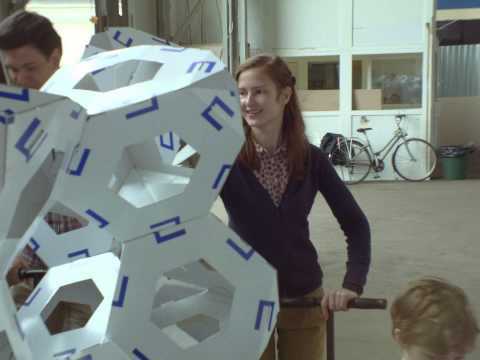 The project translates the museum’s logo to a participatory construction activity for the whole family.